Sony's big bet on Spotify is paying off. The Japanese company has generated $768 million from selling off chunks of its 5.7% stake in Spotify (SPOT), according to quarterly results published Tuesday. That includes the sale of roughly a fifth of its stake during Spotify's Wall Street debut in April. Sony still has about $862 million worth of Spotify shares. But with its ownership now below 5%, the company is not obliged to disclose further reductions in its Spotify holdings. The popularity of streaming services has boosted Sony's music business, which includes artists such as Beyoncé, DJ Khaled and Justin Timberlake. Sony Music has reported strong revenue growth for four straight quarters, citing an "increase in recorded music sales due to an increase in digital streaming revenues." 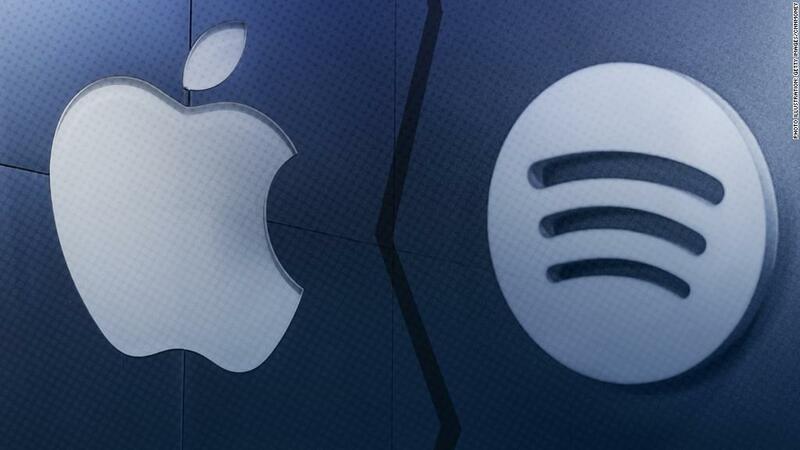 It said it will share the profits made from selling Spotify shares with its artists and music labels. Sony (SNE) has stepped up its investments in the music industry as it seeks to shift away from making hardware like TVs and stereos. In its earnings report, Sony also disclosed that it paid $288 million earlier this month to the estate of Michael Jackson for its stake in EMI, a major music publishing company that owns the rights to songs by artists like Kanye West and Alicia Keys. The move makes EMI a wholly-owned subsidiary of Sony. Sony had spent $2.3 billion to take control of the publishing company back in May. Bringing in the EMI catalog increases Sony's music library to about 4.5 million songs.